A residential development has gained resolution to grant planning permission on greenfield land north of the M27 in Funtley, Hampshire. The Reside Developments scheme will deliver 55 dwellings, including three self-build homes, and a community building incorporating space for a local shop. 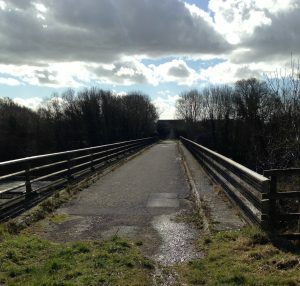 The successful outcome was achieved, in part, thanks to plans developed by Motion for conversion of a motorway bridge into a cycleway and footpath, to improve the site’s connectivity with Fareham. Hampshire County Council was initially concerned about the proposals for the site, in respect of the potential impact on the local highway and accessibility for pedestrians and cyclists. Motion’s consultants recommended highway improvements for pedestrians, including a footway extension and crossing facilities on the site. Segregated routes will be provided across the bridge, and will integrate with pedestrian and cycle paths within the development. The improved pedestrian routes will link with local bus stops, offering residents of the new housing development connections to amenities and nearby transport interchanges.